The Time-Lapsed Painting feature in TwistedBrush Pro Studio will record your image as you work. You select how many frames per minute you want recorded and the compression (codec). 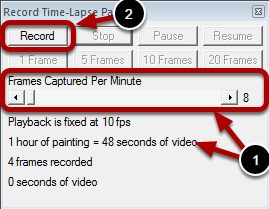 Use the slider to set the number of frames that will be recorded per minute. Notice that as you change this slider the estimate of how long your video will be is also shown to help you pick a good Frames per Minute rate. Click the Record button. You will be prompted for a file name of the video file. Select a location and name that you will later be able to find. 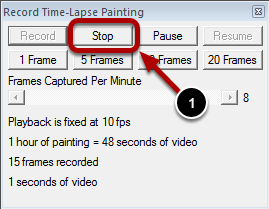 Selecting a Video Compressor (codec) is the trickiest part about creating a Time-Lapse painting. 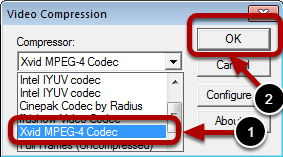 An MPEG 4 codec is highly recommended and in most cases you will need to install the codec package to have an MPEG 4 encoder on your system. See below for more information about finding and installing a code package. Xvid and FDShow are 2 very good free solutions. Paint, edit and create with any tools of TwistedBrush Pro Studio. The recording captures the page at timed intervals only when changes occur. Statistics of the what is captures so far is displayed here. To record a fixed set of frames use these buttons. 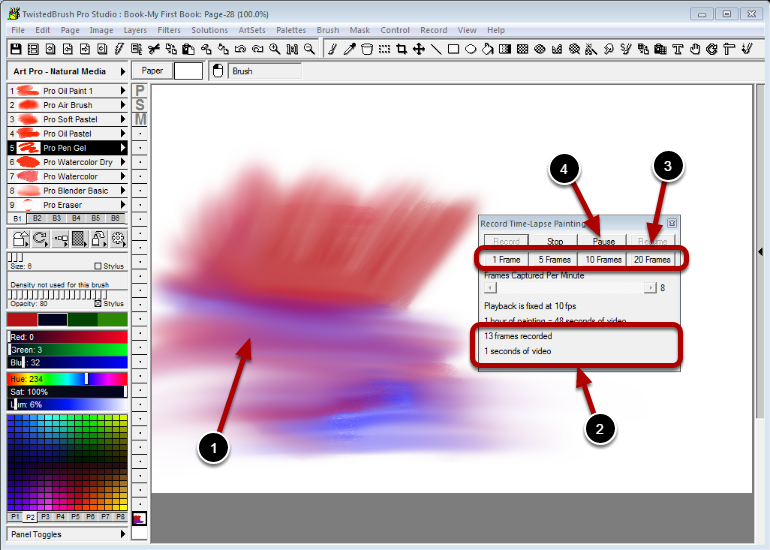 You may want to do this to record a pause in the image, for example if you have placed text on the screen for a tutorial purpose or are switching pages. The Pause button can be use to pause recording. Your video file with a file extension of .AVI is ready for sharing on YouTube, Vimeo or other video services.